This is what happens when classic architectural and modern design come together. 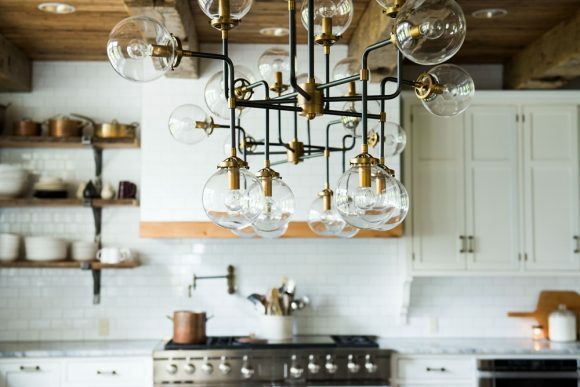 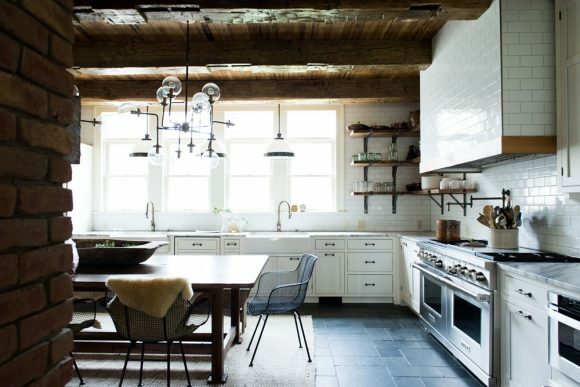 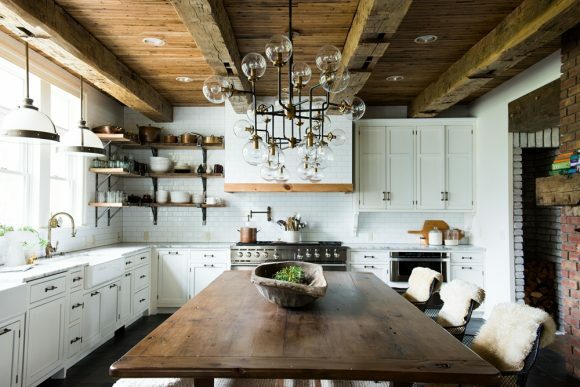 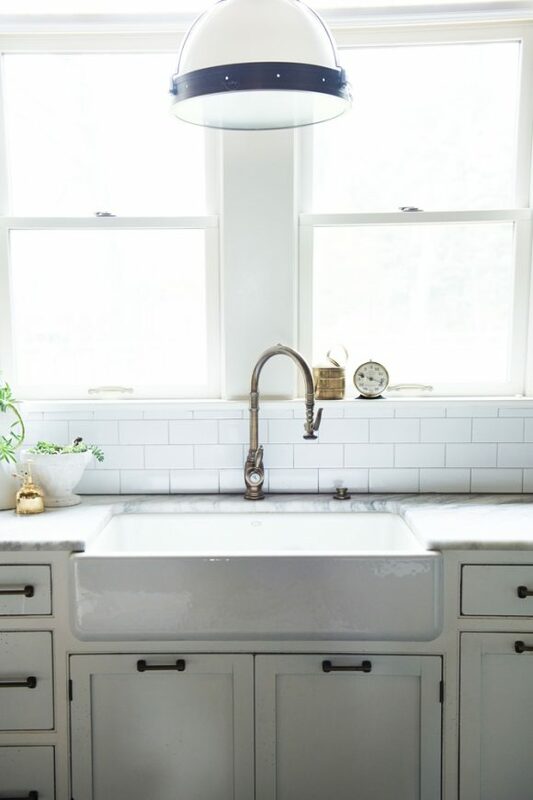 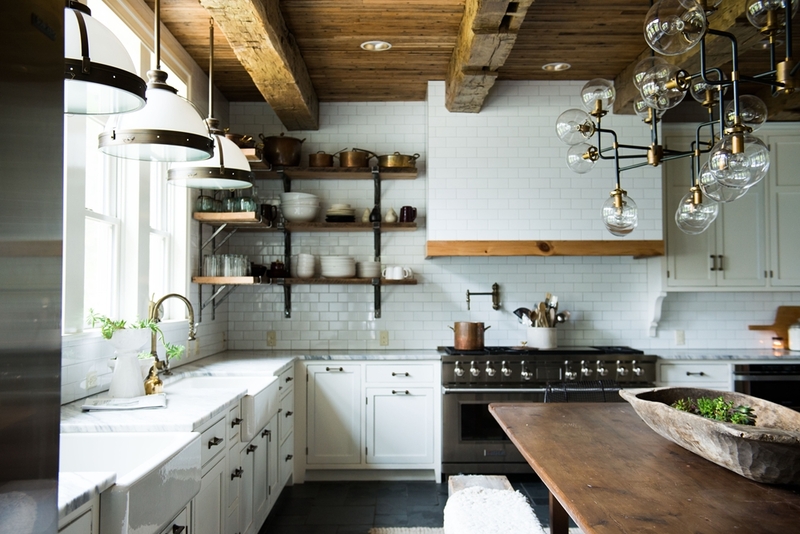 The wooden beams, iron shelf hangers, copper pans, and vintage wooden table sets the stage for an Old World Kitchen Experience in modern times. 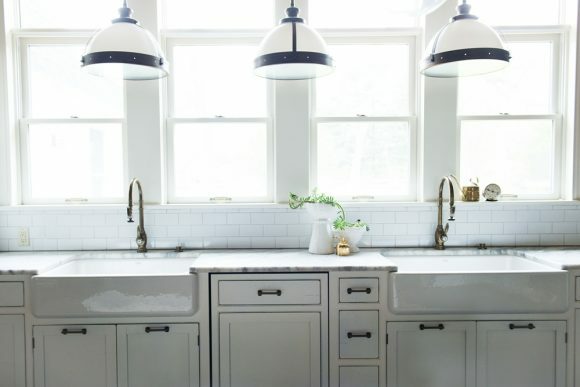 A touch of elegance was made with marble countertops, and simple corbels on the white wall cabinet adds one more architecture structure to this mix of modern beauty with an Old World touch.